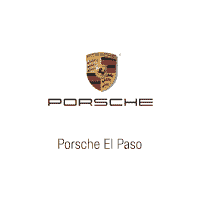 This 2019 Porsche 718 Boxster is offered to you for sale by Porsche El Paso. This Porsche includes: APPLE CARPLAY WHEELS: 18 CAYMAN Aluminum Wheels SEAT VENTILATION Cooled Front Seat(s) Heated Front Seat(s) BOSE SURROUND SOUND SYSTEM Premium Sound System TRANSMISSION: 7-SPEED PORSCHE DOPPELKUPPLUNG (PDK) Transmission w/Dual Shift Mode 7-Speed A/T A/T WHEEL CENTER CAPS W/COLORED PORSCHE CREST SEAT HEATING Heated Front Seat(s) AUTO DIMMING MIRRORS W/INTEGRATED RAIN SENSOR Variable Speed Intermittent Wipers Intermittent Wipers Auto-Dimming Rearview Mirror Rain Sensing Wipers 2-ZONE AUTOMATIC CLIMATE CONTROL Multi-Zone A/C A/C Climate Control VOICE CONTROL CONNECTED NAVIGATION *Note - For third party subscriptions or services, please contact the dealer for more information. * Those shopping for a sporty convertible would be wise to check out this Porsche 718 Boxster . With the versatility to easily switch between open-air and closed-cabin driving, it's hard to ignore the everyday practicality of this 718 Boxster. You deserve a vehicle designed for higher expectations. This Porsche 718 Boxster delivers with a luxurious, well-appointed interior and world-class engineering. The look is unmistakably Porsche, the smooth contours and cutting-edge technology of this Porsche 718 Boxster will definitely turn heads.